How can an empath travel more comfortably without getting overwhelmed? 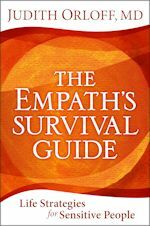 It is important that you practice the 3 minute heart meditation that I describe in The Empath’s Survival Guide. This will help you go inward and recenter yourself over and over again so you don’t get through off by the energy of others. Also bring a small white travel candle to light in the small hotel rooms. Meditate by it to shift the energy of the room to a heart space. That will eliminate the negative energy that may be still in the room. Practice the shielding technique I discuss in Emotional Freedom and The Empath’s Survival Guide on buses so you don’t feel or take on the energy of others. In hostels if there is any way to put up a small boundary between you and others such as pillows or suitcases then you can create a small oasis for yourself. Take breaks to meditate in beautiful parks. Be sure to eat protein and not skip meals. This balances empaths as well when they are traveling. And then be sure to have fun in all your adventures! !